When you enter into a long term partnership like, say, a marriage, you agree to accept your other half’s annoying habits. Such as leaving a tiny bit (not even a complete sip) of liquid in a container and returning it to the refrigerator for him to find. And not completely closing a bottle/jar (past incidents include a bottle of aspirin, twice, spilling of most of its contents). More recently and consistently is buying myself something special mere weeks before my birthday. Funny how it turns out that I desire something around the end of June. My early birthday gift to me was an indoor smoker by Camerons. I’m a sucker for smoked fish and it wasn’t until recently that I decided to attempt it myself at home. I’ve smoked on the outdoor grill before but since we’ve moved, we’ve only used the grill once. Wood chips are placed on the bottom of the dish and a shallow pan is placed above, holding the items to be smoked. 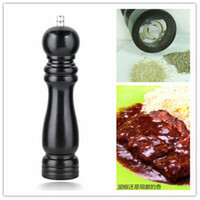 It can then be cooked on almost any cooktop and heated with little or no smoke. Cleanup is easy, especially if you line the inside of the smoker with foil. 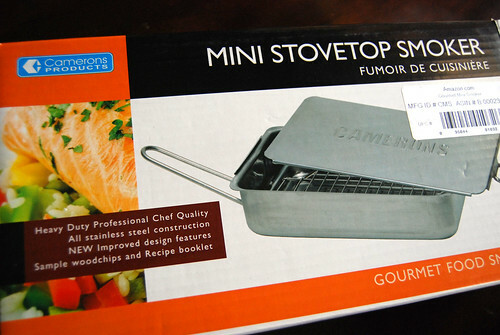 I ordered the mini version and so far have used it to smoke shrimp, spareribs and fish. 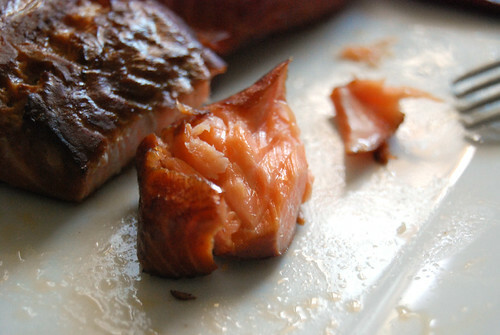 I’m still tweaking the recipes but so far love smoked fish brined in a soy sauce solution for a few hours. The salmon is only smoked for about 20 minutes or until flaky and what comes out is a richly seasoned, slightly sweet salmon. Paul eventually found me a birthday gift after much probing: a juice extractor. More on that later! Dissolve soy sauce, brown sugar, salt and garlic in water. 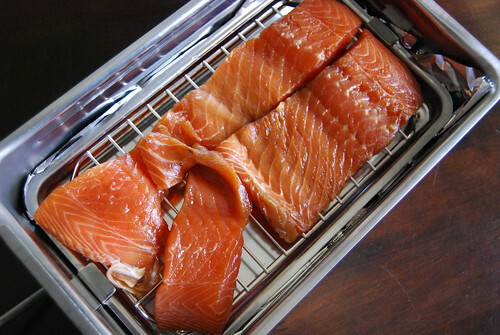 Arrange salmon in a baking dish and pour brine over fish. Cover and refrigerate for 8 hours. Remove fish from brine and pat with paper towels. Arrange on plate and allow fish to dry in refrigerator for at least 4 hours. Place fish in smoker and cook according to smoker’s directions. Happy birthday, Darlene! I agree that smoked fish is so expensive. I’ll look into the indoor smoker. Thanks, Jenn! I can’t believe how much it is! I smoked four portions of fish for the price of one. I also have the need to buy myself gift around my birthday. Treat yo’ self! Hope you had a happy one. Thank you, Diane! Glad to hear I’m not the only one to do this too! Happy Birthday Darlene! That’s a great gift to yourself! You deserve it! 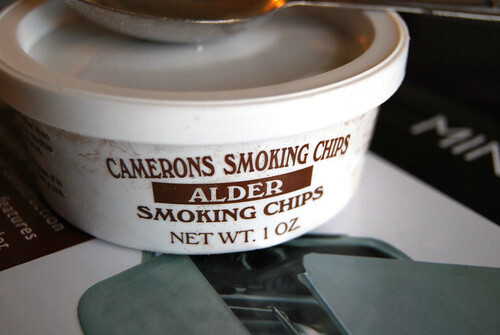 Ooo… smoked tomato salsa sounds great. And of course, we should be allowed to buy stuff for ourselves. I didn’t know there was such a convenient indoor smoker available. Now I’m wracking my brain for an excuse to buy this. Birthdays and anniversaries have already passed and Christmas is still awfully far away.